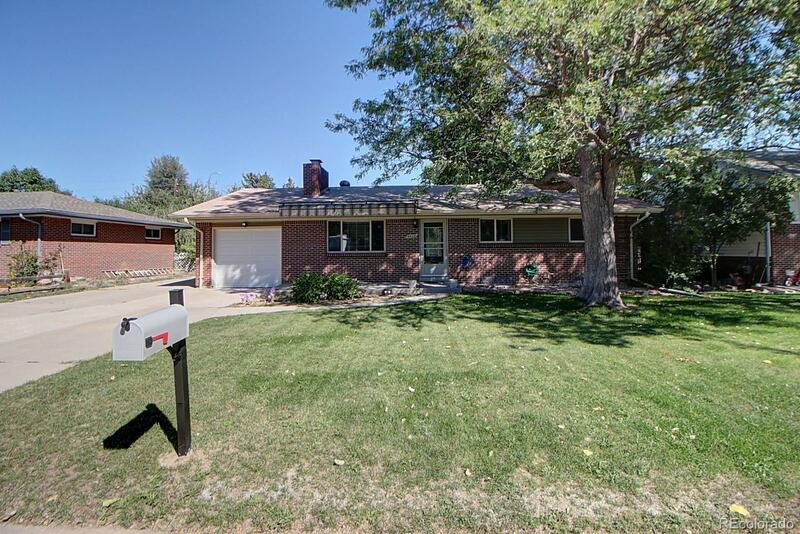 Lovely 3 bed, 2 bathroom brick ranch in Arvada. Wood floors run throughout this open floor plan with plenty of natural light. Stunning, updated kitchen for the chef in the home featuring granite countertops, stainless steel appliances, gas range stove and decorative tile backsplash. Relax by the fireplace in the living room or in the spacious sunroom that is perfect for company. Huge fenced yard, storage shed, attached 2-car tandem garage and mature trees all on a large, private lot. About one mile from the brand new downtown Westminster coming in 2019 (https://www.westminstereconomicdevelopment.org/places/downtown-westminster/)! Warranty for all work completed is transferrable to the next owner! Call now to schedule your showing before it is too late!